JUSTICE Minister Given Lubinda says political parties have let down Zambians in the dialogue of constitutional amendments, forcing government to embark on a new process. 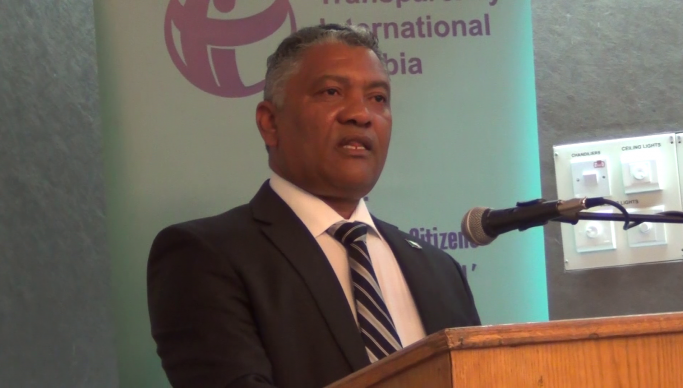 Speaking when he appeared on the Hot Seat radio programme today, Lubinda said government had that’s usurped the responsibility and decided to present a parliamentary bill that would map out a new process of submissions from individual political parties and the church mother bodies. Lubinda said the road map is a process to allow people to dialogue on specific issues like the constitution process, the Public Order Act, Electoral reforms and the Political Parties Bill which are all what the political parties agreed upon under the national dialogue process. He said it was strange that some political parties were saying they would boycott the process even though government indicated that each party would make individual contributions since they failed to do so under the Zambia Centre for Interparty Dialogue. “What we don’t want is to have open ended dialogue. Every dialogue must have an agenda. You can’t go and have dialogue without knowing what you are talking about. We know what they want to talk about. It’s not us who came up with this, they came up with this themselves in Siavonga. We know it’s those four thematic areas and we said we will take them and build around them to build a process that will include all members of parliament. We will bring all those 48 institutions who made submissions into the process. Besides we will bring all the political parties because the ZCID route has proven difficult,” he said. Lubinda said issues of the Public Order Act had been contentious for a very long time now and that everyone is affected by it including the ruling PF who the police have also stopped from holding political meetings. “The police have stopped a lot of my meetings in Kabwata and I have complied. The only difference is that when I comply I don’t go out to the public to go and complain. But the opposition always rush to the radio stations and in the eyes of the public, it’s only the opposition political parties that are being stopped,” he said. He said all the political parties including the PF should take blame for failing the Zambian people that’s why the government is saying “please political parties, let’s get down with business. You have failed to agree on your own and now we are allowing you as individual political parties to come and participate in this very important national programme”. He said some political parties have insinuated that government wants to manipulate the process but surprisingly do not want to be part of the process which would help them ensure that their fears were addressed. Last week, Lubinda commissioned a two-phased constitution refinement roadmap adopted by the cabinet to address the lacunas and inconsistencies in the current document. He said the process, which would commence next month and last until June, would include parliamentary sessions with various stakeholders before coming up with a bill to be presented to parliament. But Opposition parties said they would not support the process of amending the constitution if the government insists on presenting a bill to parliament for the purpose. Hakainde Hichilema, leader of the main opposition United Party for National Development (UPND) who has the majority of opposition members in the house, said his lawmakers will not support the constitution amendment bill when it is taken to parliament.